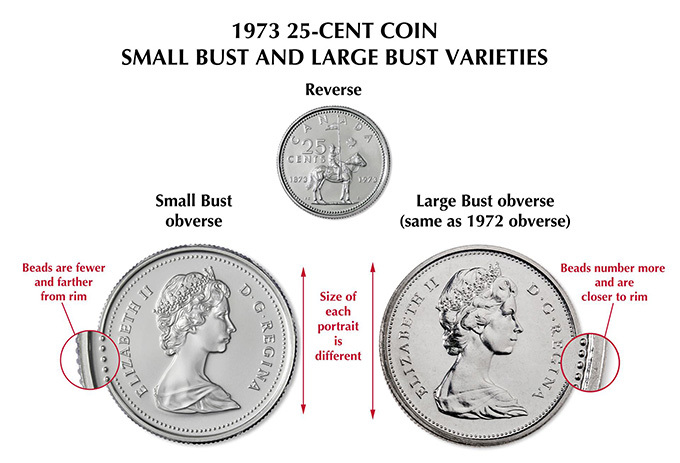 The 1973 25 cent RCMP Mountie quarter is one of the most commonly collected coins in Canada. Unfortunately it is also one of the most misunderstood. 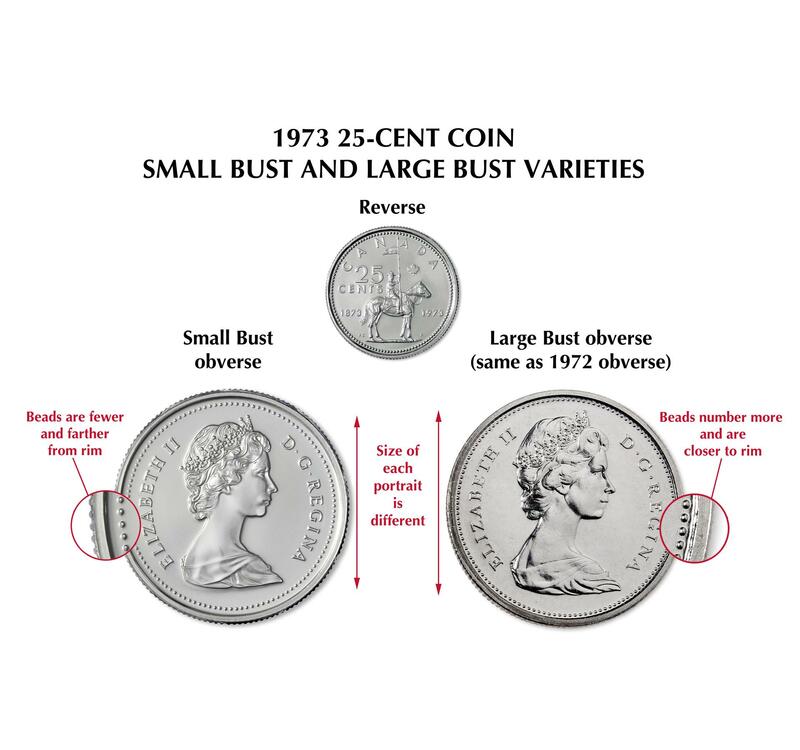 Of the 135.9 million quarters struck by the RCM in ’73, less than 10,000 were mistakenly struck with the back die of the 1972 quarter, which featured a larger image of the queen and fewer beads (see the image below). While this scarce ‘Large Bust’ variety is valuable, the regular Mountie quarters are worth only 25 cents! If you have some of these, use these photos to check your coins closely. If you don’t find the rare one, spend the rest, because with over 135 million of them out there, they will never, ever be worth more than a quarter! > Why Collect Coins and Bank Notes? > What are the best coins or bank notes to collect? > Are Rare Coins a Good Investment?